SoftPlanet makes it possible for everyone to get free Fresh Download download directly from our servers. There is no registration needed for downloading. 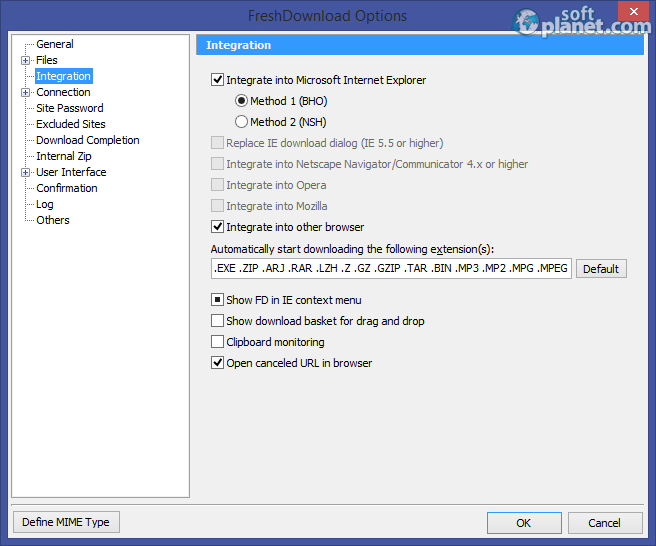 Fresh Download is a very efficient and free download manager, which provides you with great control over your downloads. Besides that it is very easy to integrated within most popular web browsers like Mozilla Firefox, Internet Explorer, Opera, etc. 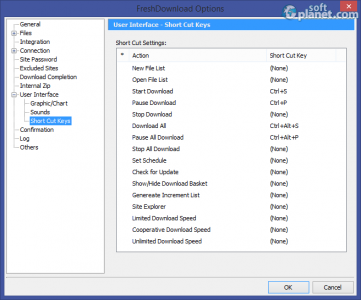 With this free download manager, you can pause and resume downloads as well as schedule them for time with less traffic. Unlike its rivals, the app offers a ZIP extractor too. 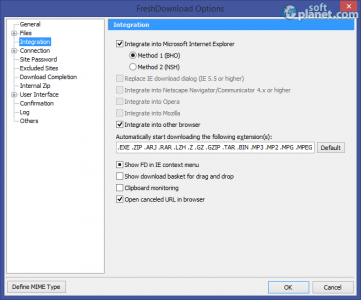 Fortunately, Fresh Download 8.79 perfectly works with password-protected web sites and proxy servers. In addition, it supports multiple download connections as well. The application comes with a regular layout. You have several action buttons on top, right underneath it, you will find the download speed chart. 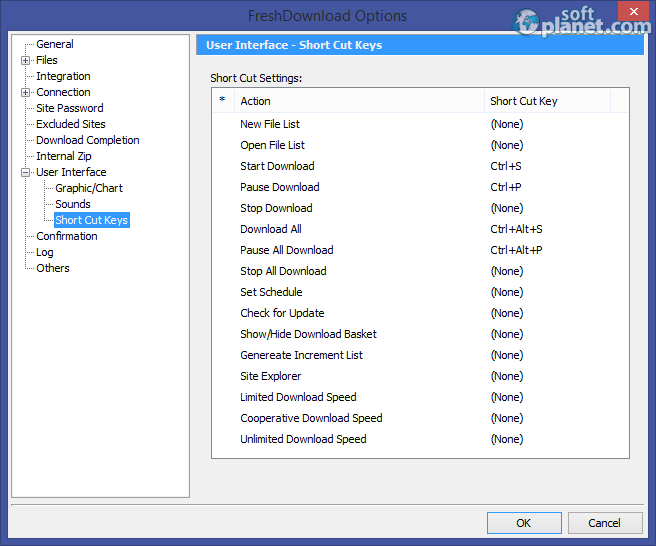 The download list takes a main place within the main window. Its interface is quite customizable. You are able to adjust the way the Main and Go charts look like i.e. colors, style, etc. This software supports multiple download connections, which is probably one of the main reasons why it achieves such great download speed. We didn't encounter any bugs during the tests. For top downloading experience, we strongly recommend that you integrate it within your default browser. If you are looking for a decent substitution of the popular free download managers, Fresh Download is just the one for you. It is very easy to install, integrate and work with as well as it provides you with ultimate control over your downloads. Our security scan shows that Fresh Download is clean from viruses. The current version of Fresh Download has been scanned by our system, which contains 46 different anti-virus algorithms. That ensures that Fresh Download 8.79 is 100% safe for your computer.